Of all the essential accessories that a photographer should have, the tripod is definitely the most important. It is such an important instrument because it enables you to deal with a great number of problems and situations that cannot be sorted out in post-production. I wasn’t always aware of this fact; instead, I came to understand it over time and over the course of my journey from amateur snapper to professional photographer. But the turning point was without a doubt an adventure I undertook with a few friends some years ago, which involved a week-long mountain excursion. During this adventure, even if it had nothing to do with photography, I learned just how much of a difference it can make when you walk with light and compact equipment. From that moment onwards, I have always insisted on using and looked out for photographic equipment that is simple, comfortable and practical to carry. The switch to a Mirrorless and the choice of a light and compact tripod were the first habits I adopted, as soon as I had the chance, and because of this, I was immediately drawn to the BeFree tripod range by Manfrotto®. Without hesitation, I chose to try out a tripod from the Carbon series, as I believe that there can be no financial justification when you consider that equipment weight and physical exertion are your worst enemies during an excursion, or even just on a walk. I’m a firm believer in first impressions. I believe that they are fundamental to establishing good relationships, including with the tools you choose for the work you do. 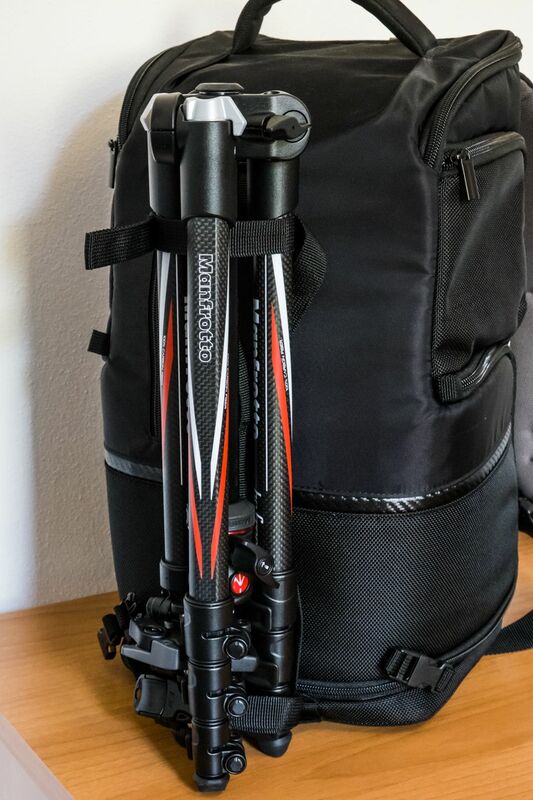 Once out of its packaging, I found the BeFree tripod in a carry bag/cover made of high quality material and with a shoulder strap that is wide and sturdy enough to carry it around easily (though you can attach it directly to your bag/rucksack). Also included are the instructions for use and a key for tightening the screws. Everything you need. It is definitely a modern tripod, and you can tell. 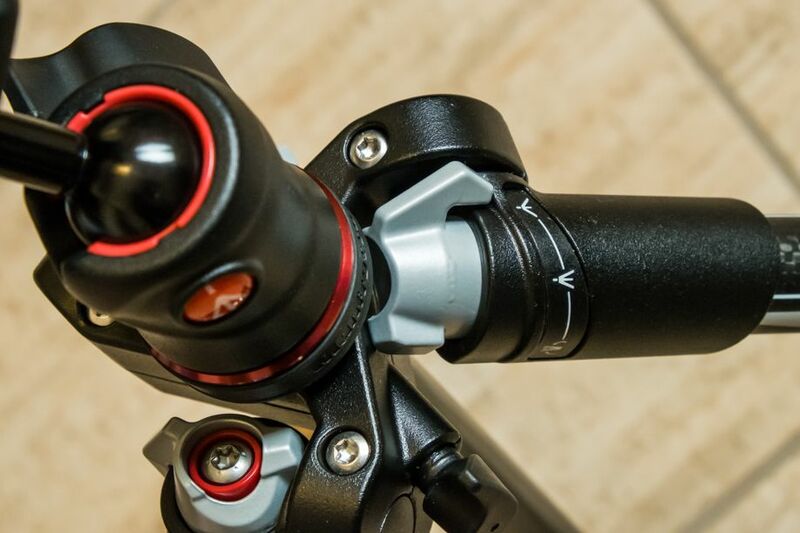 Its construction and assembly are standard to all tripods we are used to seeing and imagining. The attachment between head and legs is totally different from what you normally find, in order that the tripod needs less space to be closed up. The head is shaped in such a way as to allow the legs to close in as little space as possible, a characteristic that optimises the previous feature. Another feature of the head is the secure camera mounting plate. Mounting and detaching a camera is a bit difficult, if not impossible, with just one hand. However, you must remember that this limitation only serves to make our equipment more secure and avoid it becoming detached through error or distraction. There is nothing particularly innovative about the leg extension; it uses the usual telescopic system. However, the legs are not without innovation: the lock/unlock system for the three extensions is totally new and allows you to activate all three in one go and with one hand. For a travel tripod, this is definitely a bonus. What surprised me, however (which is why I left it until last), is the joint system used to adjust the leg spread. 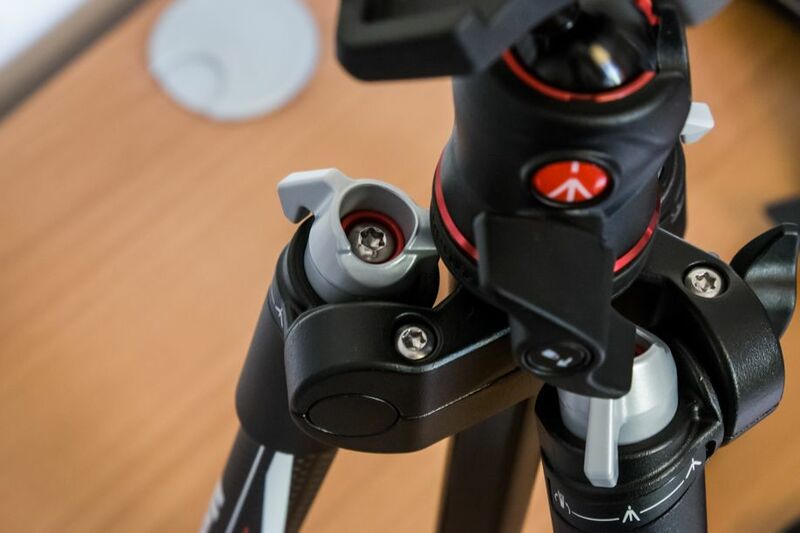 Manfrotto® has completely reinvented the way it works, and this BeFree tripod totally breaks the mould I was used to. 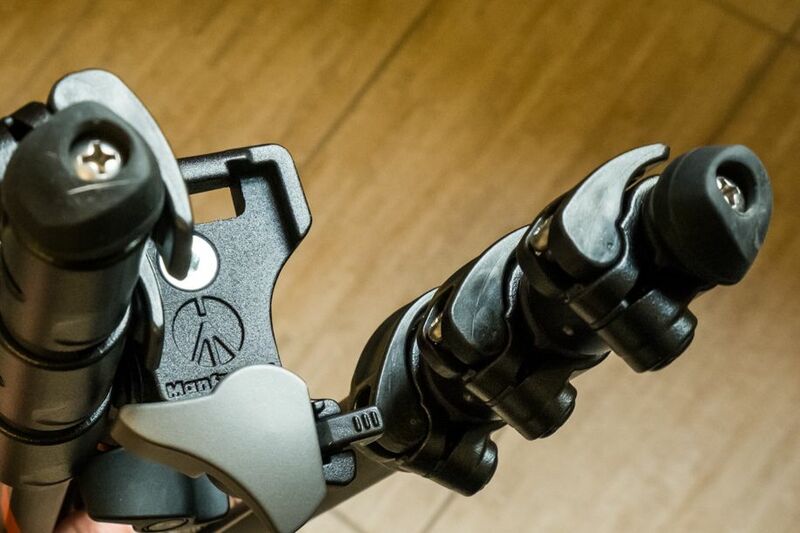 Its adjustment system allows you to unlock the leg joints and adjust the spread in seconds, even with just one hand. 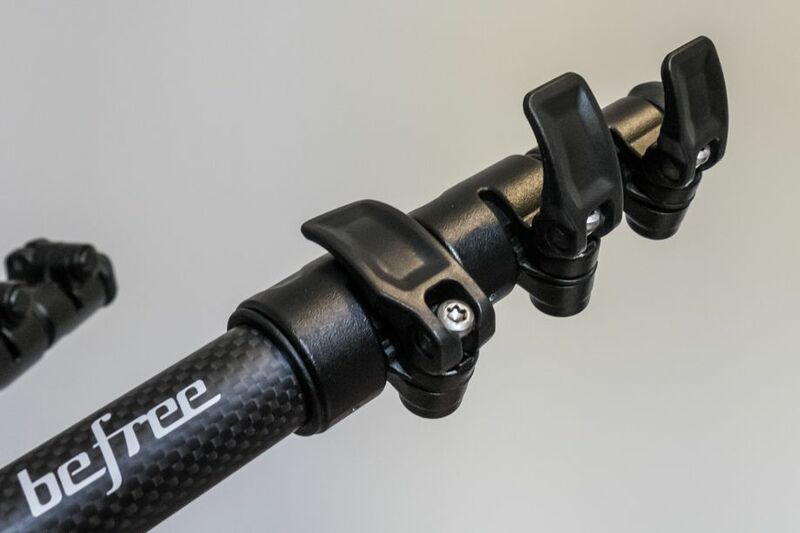 This system, whilst one the one hand absolutely innovative, only gives you 3 inclination settings (or spread), which, upon rapid and superficial examination, might seem a limitation. In reality, especially for the destined use of the tripod, these three settings are the most effective and fulfil all requirements, as well as making it extremely practical to use. This tripod, as you may deduce from the name BeFree, has a clear purpose; but I also wanted to try it out in a completely different context. I am involved in a project on the Cansiglio highlands, so I couldn’t miss the opportunity to make use of my tripod on one of my trips. I hooked my tripod onto my rucksack comfortably and easily and its characteristic lightness enabled me to carry it with neither a feeling of being unbalanced nor that of having a dead weight on my shoulders. In this context, this tripod is at its best: it is sturdy enough to be carried without difficulty, it can be adjusted quickly to suit the terrain and, if you need to move it about in its open form, you can do so with just one hand. Do you need a tripod for photos in urban environments? Of course! The reasons are explained in another post. This context is very similar to that of an excursion, only that in this case, it is the discreet dimensions of the BeFree tripod that make it so effective. Isn’t it bothersome when you start taking pictures and see that people are stopping to watch you? Given that this tripod can be set up and closed away easily and quickly, as well as being lightweight and small in size, it is easy to go unnoticed and take really interesting pictures in total anonymity. This is the best bit. I had to do some photo tests for some products and I wondered if the BeFree could work well even in this context. So I decided to give it a try. In such contexts, it is important that the camera stay firmly fixed on the tripod and that there is no movement between one shot and another. Often, several photos are taken of the subject and then the various light sources are combined and it would be disastrous if there were micro-movements between one shot and another. it is very light and this means you cannot be totally sure that it will hold exactly the same position. To be clear… it’s not that it moves on its own, but when a tripod is so lightweight, it only takes the softest nudge for it to move a few millimetres. In an open field or on the road, the tripod grips the ground or the rough tarmac, but a studio floor is often very smooth. this tripod doesn’t reach any great height, so I was forced to extend it to its maximum in order to get interesting frames in this context. This is not ideal, as a fully extended tripod is prone to micro-vibrations. That said, however, the results I obtained were satisfactory. There is no such thing as a universal tripod. If you want to photograph using the correct methods and the best accessories, you need to be aware that the tripod too must be chosen with care and based exclusively on your personal type of photography. 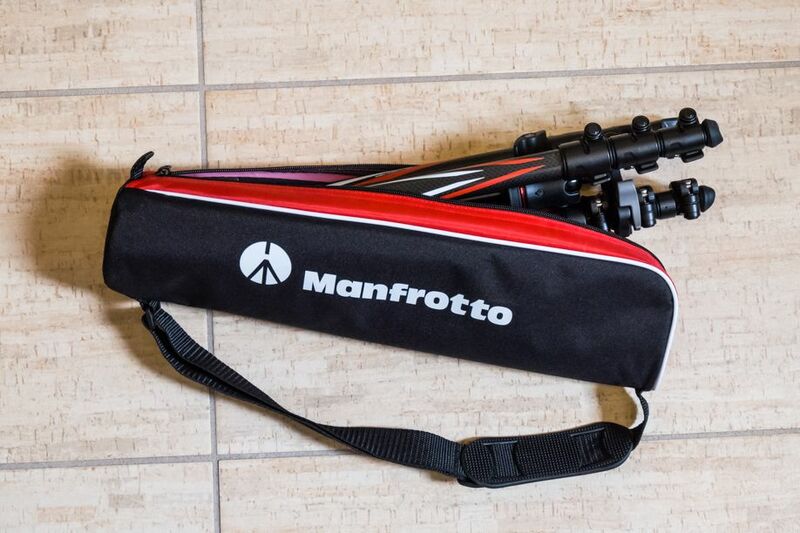 The Manfrotto® BeFree tripod isn’t the first of this type that I have used; I’ve already tried similar tripods by other brands. Nevertheless, I was pleasantly surprised by this model for its innovative features. The surprise wasn’t so much in terms of function, as all tripods more or less respect the characteristics and purposes for which they were designed; rather, I was surprised at how Manfrotto® was able to modernise and develop with technical innovations an accessory that, all things considered, has stayed unchanged for decades.